Most of us do not worry about the fixed tariff end date. In the majority of cases, the supplier moves us to a normal standard tariff or the best available tariff with them. Sometimes, the suppliers notify us about the end date and also suggest us a new tariff. Well, according to the Ofgem regulation, suppliers should send the notification 42 days in advance. During this 42 days period, even if the customer switches to a new supplier, they won’t have to bear the Cancellation charges. 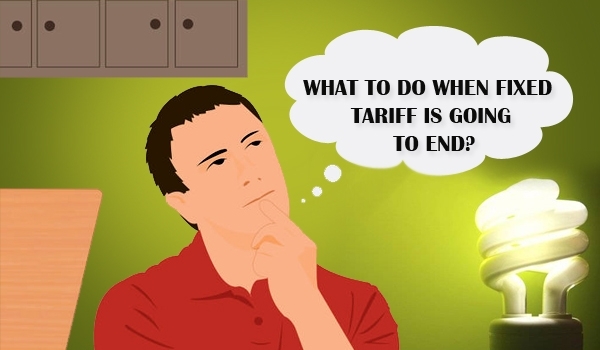 This content is about the do’s and don’ts when the fixed tariff is going to expire. First of all, as a customer, we don’t have to wait till the contract end date of a fixed tariff. If the energy market offers us a tariff that will save money on gas and electricity bills, we have the right to choose a cheaper tariff even within the contract period. That being the case, there is no question whether we can switch towards the end of the contract. If a cheapest gas and electricity tariff is available with the same supplier, we don’t have to switch to a new supplier. To ensure that we are offered a good deal, we need to explore the market and find out using the energy comparison services websites. It is practically not possible to call all the suppliers and check the best deal available with each of them. From Customer’s perspective, it is a hard work. Ofgem accredited Comparison portals show us all the suppliers in the market and their tariffs. They display the list of top cheaper supplier based on customer’s consumption. The energy comparison sites use different calculators to show how much you can save by switching to a new supplier or tariff. These calculators will take into consideration the remaining period of your contract and calculates the estimated usage and spend. Say for example, if you are 6 months away from the end date, the calculator takes the remaining period for calculation and gives you an estimated spend for the entire period. The savings that are quoted will include the expected spend during the contract period. Therefore, it is very close to accurate savings, unless the spend changes drastically. Make your gas and electric comparison process easy and hassle free with vswitchusave. Visit us at www.vswitchusave.co.uk and save money by switching gas and electricity suppliers.